We do it in the road. We have a real street life in NYC. The street is our front yard, backyard, driveway and secondary sidewalk. We eat in the streets, walk in the streets, fix our car in the streets. Children play in the streets, we have fairs and parades in the streets. 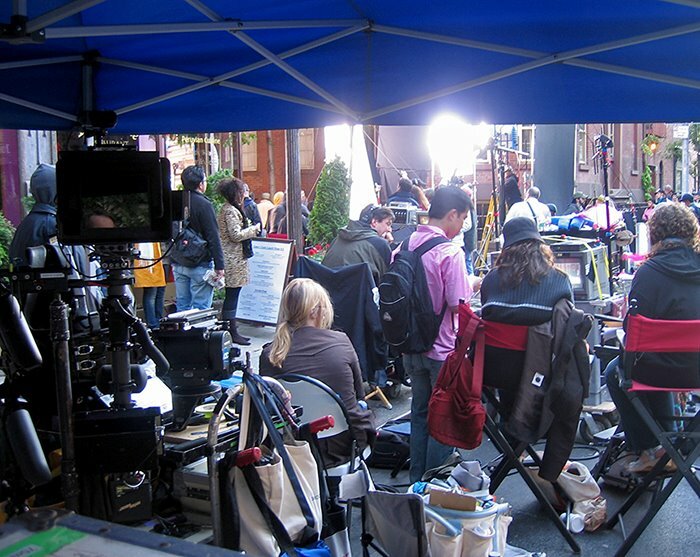 We make movies and commercials in the streets - where else is there? Last night on the way to dinner on Christopher Street in the West Village, I ran across a movie set. They were filming Motherhood with Uma Thurman - for a sneak peak at here, see photos here.